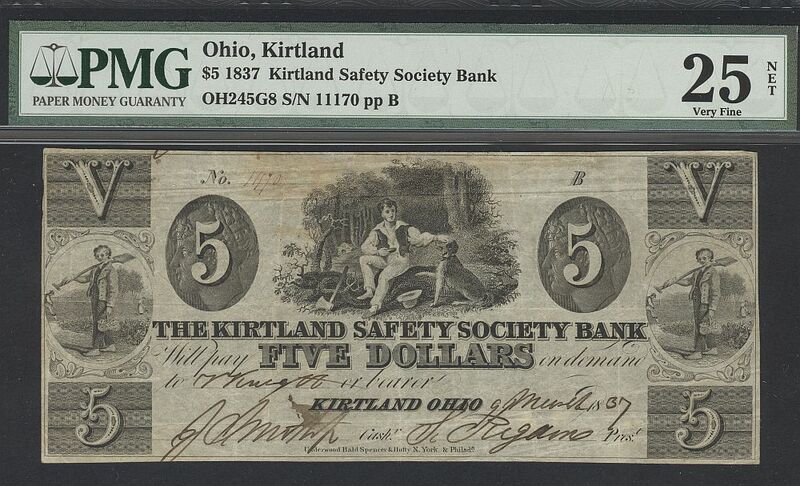 Kirtland, OH, Haxby 245-G8, The Kirtland Safety Society Bank $5, Issue of March 9, 1837, Signed by Mormon leaders Joseph Smith and Sidney Rigdon and made payable to N [?] Knight [probably Newel Knight]. An LDS heirloom, this Very Fine note is extremely well centered and exhibits strong, bright ink and bold original handwriting and signatures. 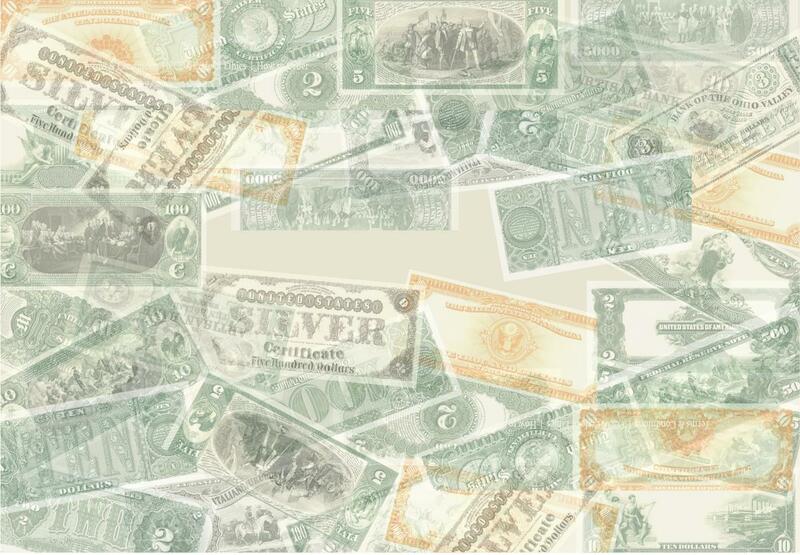 It is Certified by Paper Money Guarantee as genuine with an opinion of grade of Very Fine "25 Net". The reduction of grade is due to the notation of "Previously Mounted". However, close examination reveals no damage to the paper and only the slightest hint of staining located at the top of the note. It remains an excellent example of a lightly circulated historic financial artifact.